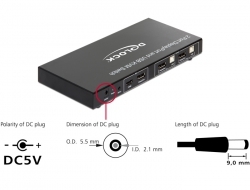 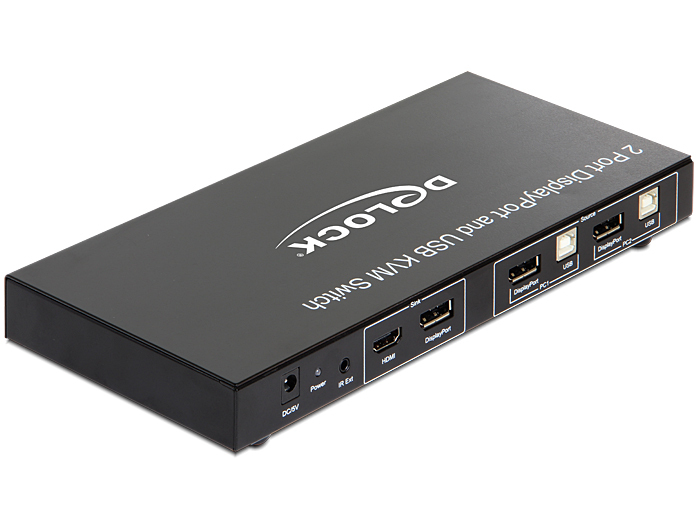 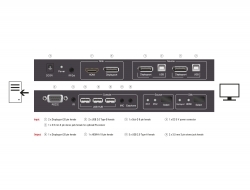 This KVM switch by Delock is a convenient solution for connecting two computers with DisplayPort output to one DisplayPort monitor and / or one HDMI monitor. By using the button or the remote control you can switch between both computers. Additionally there is a DisplayPort and HDMI output for connection of two monitors, of which only one can be active at a time. Furthermore, three USB Type-A ports can be used to connect a mouse, keyboard, hard drive or USB memory. 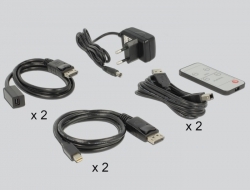 The built-in USB headset feature allows you to use a headset and microphone with both computers.